Peter’s originally fascination with racing started in 1959 when he discovered Road and Track magazine and read the biography of Rudy Caracciola. He instantly became addicted to Formula One racing and in 1968, he attended his first F-1 race at the Glen. In 1993 he discovered vintage racing as he drove a 1955 Lincoln in the Carrera Panamericana. Vintage racing has become a lifelong passion. Peter has enjoyed racing at Vintage and Historic events all over the world and meeting other drivers who share this love. Peter has also attended several Skip Barber Racing schools at Sebring – with great instructors like Terry Aerwood, Jim Pace and Greg Borland. 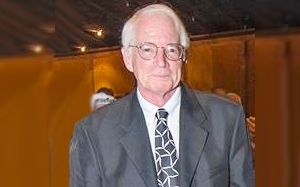 He joined SVRA, VSCCA and later HSR. Over the years Peter has owned 35 vintage different race cars. Although Peter enjoys winning races, what really fuels his addiction is the friends he has made and the camaraderie always present at races. He considers himself extremely lucky as he has had the good fortune of picking great co-drivers. Highlights of his career include driving with Tom Yaeger. Together, they the 3 hour, HSR/Vintage enduro at Sebring racing against competitors including Hurley Haywood, EFR and always hard driving Bob Snodgrass. 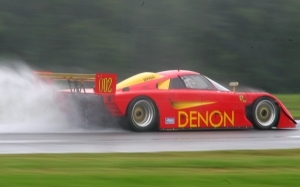 Peter and Tom also won the SVRA Overall Endurance Championship in 2002 and the Group 7 Endurance award. Peter’s other co-drivers include Justin Frick, Ray Snowden, Craig Bennett, Bobby Brown, John Morton, Dave Handy and Stirling Moss.3. In the 2,004 – 2017 Peter has won a number of enduro races driving cars that include a Cosworth Spice, Ferrari Spice, a Chevron B-26/36/DFV, a March/BMC Center Seat Can Am car. 2017 was an especially memorable year as he turned 70 years old , winning both the SVRA Group 7 Sprint Race and Endurance Series plus winning 3rd overall in the SVRA endurance series with Dave Handy. Peter is already hard at work preparing his cars for 2018 SVRA competition.